As a health professional you would think that I would be the spitting image of health … but the reality was suddenly none of my favourite clothes were fitting me anymore. I felt embarrassed, frustrated and a fraud telling others how to manage their health when I could not handle my own. I tried all my old techniques including hitting the gym, hiring a personal trainer, eating reduced calories meals, low carb, high protein, going to my naturopath, doing cleanses and taking additional supplements. I was shocked to find out that everything I was doing to feel at home in my body again in my 40’s was no longer working. 😕 I felt completely stuck, frustrated, discouraged and hopeless. Through my search I came across this revolutionary approach that seemed to break all the rules that I had been taught and had used successfully in the past. I didn’t even share them with my colleagues or friends because I thought they would have laughed at me when I told them what I was looking into. Even though it was supported by a solid pool of scientific evidence, I really didn’t believe it would work for me, but I still decided to push forward and give it a try. I became my own Guinea Pig. I used this simple approach on myself and within 6 WEEKS was back to my old self, feeling confident and wearing my skinny jeans again! I was SHOCKED and AMAZED that it could be so effective. But could I maintain it over time? 👍 Well, it’s been 5 years now and my body is right where I want it to be. The best part is that I have complete confidence that when I have a weekend away and a little indulgence I know that I can make specific corrections based on this approach the next week and I will be right back at my preferred baseline within a couple of days. 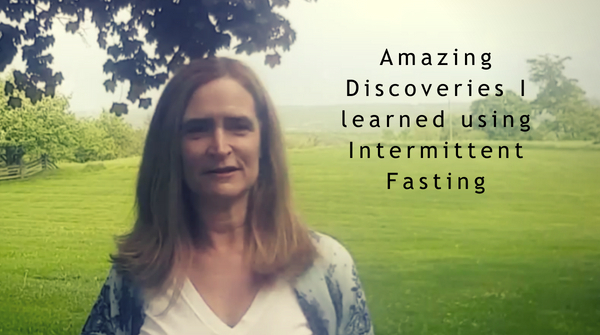 I have since refined and simplified the approach, based on intermittent fasting. and have created a 4 Phase System that I have successfully used with 1000’s of clients who are back to wearing their favourite clothes again. And my belly fat melted away. 1) You are over 40 who has experienced a change in your body and wants to feel great again. 2) You are looking for a simple, healthy and natural solution that you can easily integrate into your busy lifestyle. Let’s talk, book a Free Complimentary Consultation.